Collegiate wrestling, sometimes known in the United States as folkstyle wrestling, is a style of amateur wrestling practiced at the college and university level in the United States. Collegiate wrestling emerged from the folk wrestling styles practiced in the early history of the United States. This style, with some slight modifications, is also practiced at the high school and middle school levels, and also among younger participants, where it is known as scholastic wrestling. These names help distinguish collegiate wrestling from other styles of wrestling that are practiced around the world such as those in the Olympic Games: freestyle wrestling and Greco-Roman wrestling. Collegiate wrestling, like its international counterpart, freestyle wrestling, has its main origins in catch-as-catch-can wrestling. In both styles, the ultimate goal is to pin the opponent to the mat, which results in an immediate win. Collegiate and freestyle wrestling, unlike Greco-Roman, also both allow the use of the wrestler's or his opponent's legs in offense and defense. 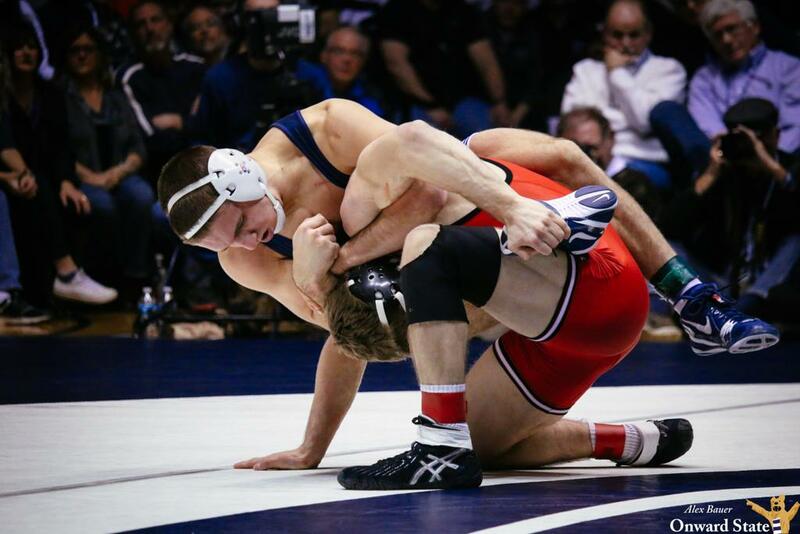 However, collegiate wrestling has had so many influences from the wide variety of folk wrestling styles brought into the country that it has become distinctly American.